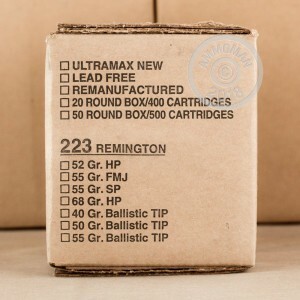 Ultramax remanufactured ammo is a great way to capture some of the cost advantages of reloading without having to invest in your own equipment. 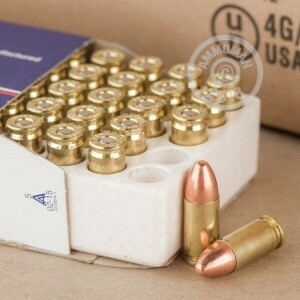 These 9mm Luger cartridges are professionally reloaded using once-fired brass with mixed headstamps and light 115 grain full metal jacket bullets. They produce typical 9mm Parabellum ballistics (including a muzzle velocity of 1,150 feet per second) and use a standard pressure load suitable for a variety of popular carry firearms. These cartridges are loaded in Rapid City, South Dakota using non-corrosive Boxer primers. Each box contains 50 rounds. 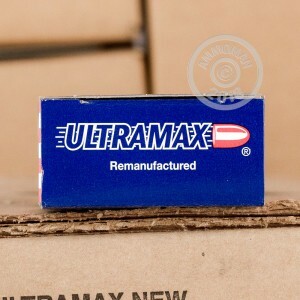 Ultramax was founded in 1986 and produces both remanufactured and newly loaded ammo.